For some reason, over the years my neighborhood has become one of the places for high fashion. So when the fashion industry holds its yearly Fashion’s Night Out, my neighborhood and the Meatpacking District, which is one neighborhood over, becomes one big party. It’s wall to wall people dressed to the nines, and all the stores that I can’t afford to shop in open their doors and serve drinks, food, there’s music, sometimes fun things to do (besides buying things). Sometimes free stuff. Little things usually, like last year all I got was a bag of potato chips, but they were actually really seriously good chips. It’s very festive and fun. I just love to walk around taking pictures. (Looking dowdy in comparison to all the people descending on my neighborhood.) There’s this energy that just feels so completely frivolous, but in a good way, a sparkly, bubbly, effervescent party way. At some point I know I’ll be thinking that as fun as this is, the world would be so much better if Buddy was still in it, but what are you going to do? Eventually I’ll stop thinking things like that. 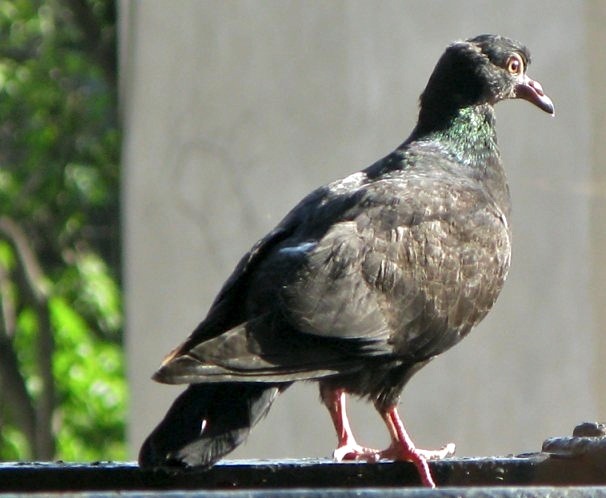 A pigeon who has been hanging around on my fire escape.